This picture used to have a little girl in the middle holding her Greek mythology book and staring at a large owl. The idea was that she fell asleep reading the myths and had fantastic dreams. 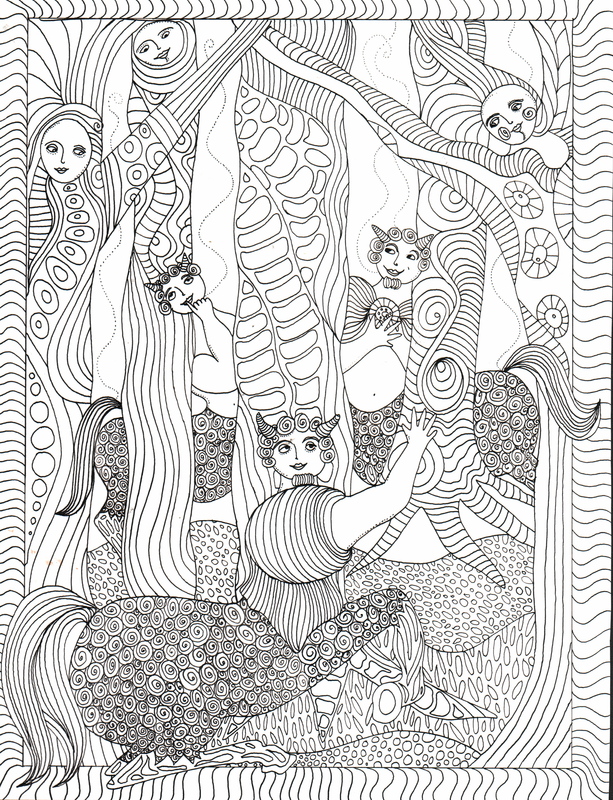 In this one, a giant centaur has replaced her, and he and his friends are falling in love the the Dryads–tree nymphs. Oh my goodness, Annina – I adore this one. I can just picture it with the girl and her book. My own 9 year old is obsessed with mythologies (especially Greek and Egyptian) just now, and frequently curls up with a book of myths and tells us “don’t talk to me for awhile. I’m going to my own world.” I imagine it is something like this! Chloe would adore that story! !